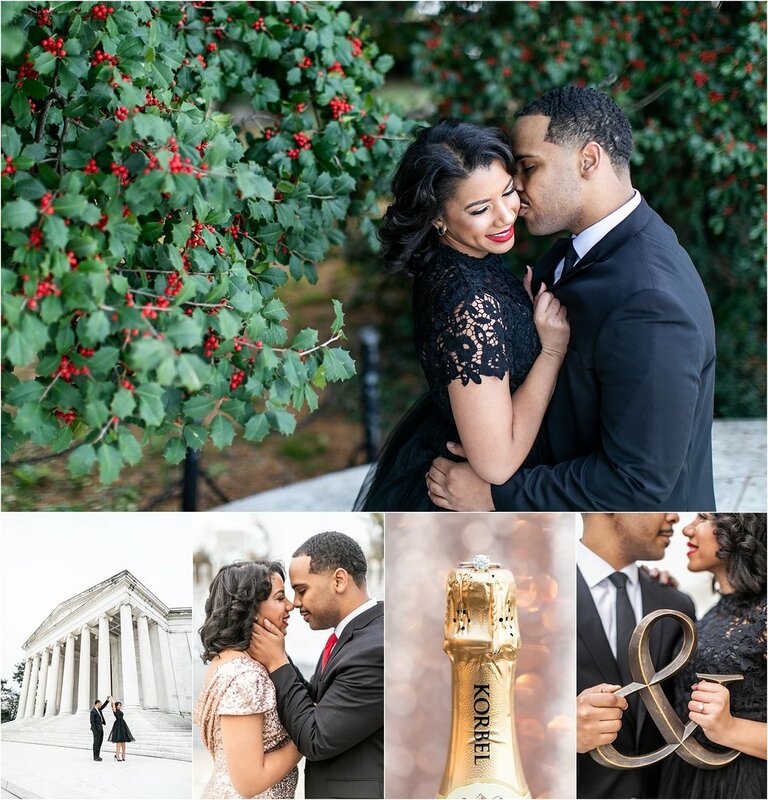 When we scheduled our trip, we were also in the middle of planning Brittany and Juans session. These lovebirds live in West Virginia and we were trying to coordinate dates. Brittany had shared that she wanted a winter fell, in the woods, and I told her that Baltimore wasn’t getting any snow or any winter vibes. So then it dawned on us, why not do it while we are out in Deep Creek! We proposed the idea to these guys and they took us up on the offer. Sarah met up with Mallory and DJ for a surprisingly warm Sunday down in Owings, MD. These two cuties live on the Eastern Shore, but grew up near Owings and that's where their parents still live. It was a wedding-packed weekend, with Mallory finding her dress that weekend, too. These guys had a beautiful session on Mallory's parents' property complete with water, a dock, and their sweet, fluffly Golden Luna. We had a ton of fun with their energetic pup and are so thankful for DJ's mom for the beautiful handmade sign! Yah! Our first official shoot fo the new year! Alyssa and Sammy are kicking off our 2019 Wedding and Engagement season! We have a pretty big break between now and May with a wedding here and there and engagement sessions rare with this weather. We totally lucked out! January 6th, sunny, and beautiful. Cold, but could have been so much worst! Sammy and Alyssa are our super cute southern couple who live in Raleigh, NC! They came up into town for their session and to visit family. 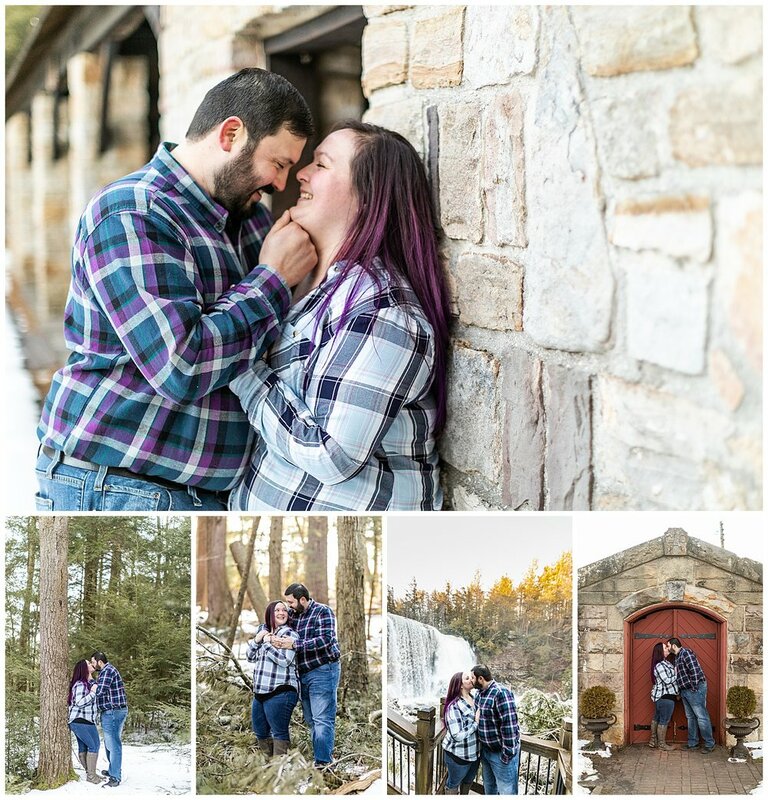 It was totally fitting to do their engagement session at a sentimental place. A park where they walked their dogs, and place visited often with family and pups.